I finally got braces!!! This has been a decision a decade in the making and today it finally happened and I couldn't be happier! My teeth are certainly not horrible by any stretch of the imagination but I've been self-conscious about my narrow smile, crooked teeth, and prominent canines for most of my adult life. I told a few friends about my decision to get braces and most reactions were to tell me my teeth looked 'fine to them'...I'm sure some were just being kind and others really genuinely didn't see the need. I had a consult with my orthodontist over five years ago but in the end I decided it would be too expensive and that braces were a really superficial thing on which to spend my hard-earned money (my dental insurance doesn't cover any part of the cost). But, as time went on, I was still unhappy with what I saw in the mirror and in pictures when I smiled. And so it was this internal struggle with wanting to correct my smile and not wanting to be superficial/financially irresponsible that kept me from the braces. I'm sure none of the 16-year-olds with braces have this same struggle as they are not paying for their braces and it's culturally normal to fix one's smile when you are a teen without seeming superficial. Fast forward to a few months ago when I decided life was too short to put off the things you really, really want to do so I finally made the appointment to start the process (again). 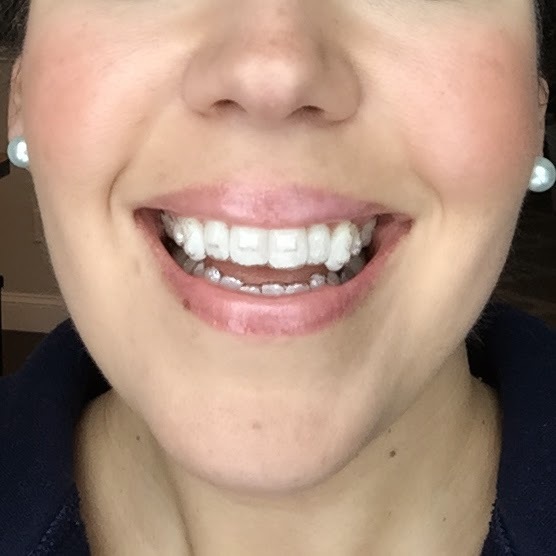 I had my consult, my appointment to cast my molds, and today I received my first set of Invisalign trays. 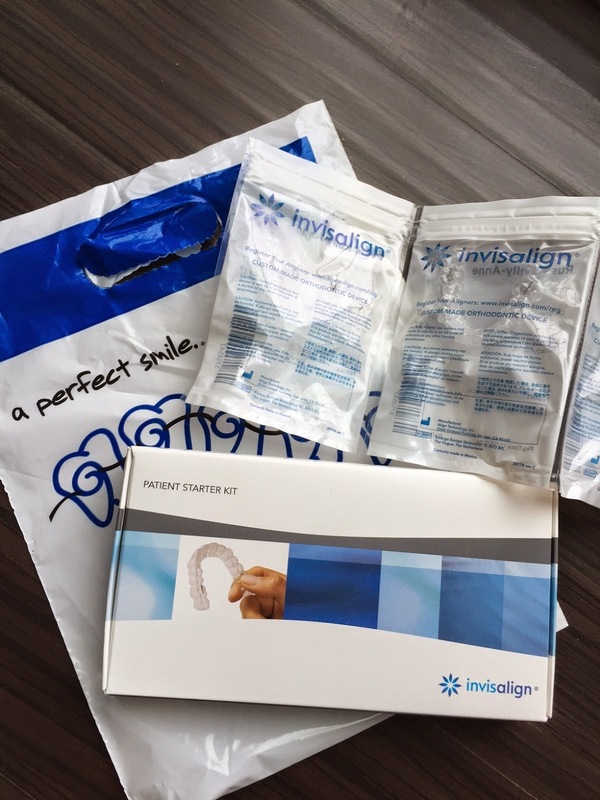 I chose to go with Invisalign because it was basically the same cost as regular braces, is less noticeable, and the trays can be taken out when eating so no foods are off limits. The trays just pop right in and out with relative ease. What the ads for Invisalign don't show is that most people have to have these little 'buttons' bonded to their teeth in order for the trays to have something to grab on to when trying to move certain teeth. I had to have several buttons put on my top teeth and they protrude pretty far...not a pretty sight but better than metal braces! The other downside to the trays is that my speech is somewhat impeded. My doctor said I would get used to speaking and the lisp should go away within a couple days! I sure hope so because I talk...a lot...every day... #teacherproblems!! I took this picture this afternoon as soon as I arrived home from the orthodontist. You can't really see the braces, however, it is nearly impossible to smile without opening my mouth a bit or to smile with my mouth closed as the trays prevent me from doing either. I guess I will just always look super happy in my pics (and will have to use awesome filters to mask the braces) for the next year! I'll be sure to post updates as I continue this journey to a better smile!